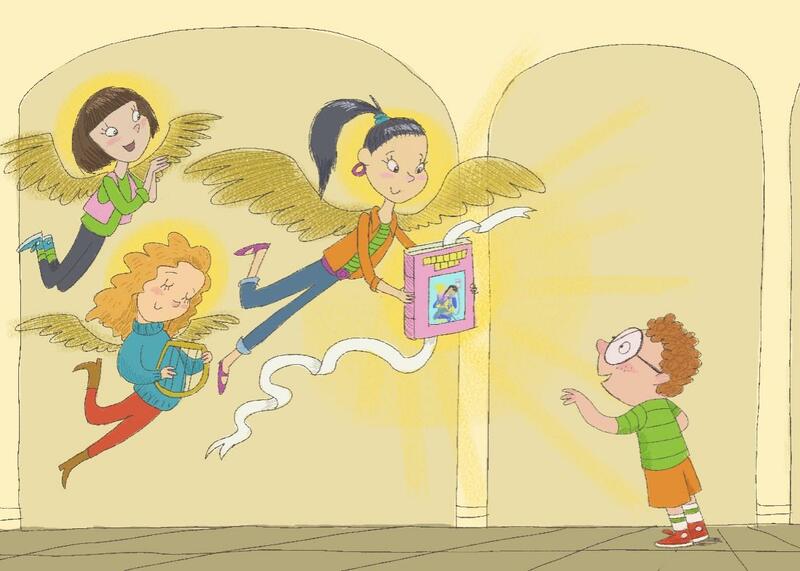 Why the Baby-Sitters Club books enchanted me when I was a 7-year-old boy. As a Boy, I Was Obsessed With the Baby-Sitters Club Books. I Have No Regrets. The first time I ever saw a Baby-Sitters Club book, I was 7 years old, browsing the spinning racks at the public library near my house. It was Baby-Sitters Club No. 2: Claudia and the Phantom Phone Calls. On the bright pink cover, a preteen girl in a funky, oversized sweater clutches a baby in one arm while she cradles a telephone under her chin. Claudia looks slightly haunted, but also—to my young eye at the time—competent, collected, and hopelessly cool. I wondered exactly how sinister this phone call was. I wanted to know more. The book called to me on a primal level. I took it home, read it twice in one day (it was short), and then a third time the next. I pored over the checklist of books in the series, trying to decide which ones sounded most fascinating. (BSC No. 8: Boy-Crazy Stacey especially piqued my interest.) On my next trip to the library, I walked out bearing an armful of the slim, pastel paperbacks. I felt like I had just hit the jackpot. My mom looked a little concerned. Even in my progressive community in suburban Maryland, the world of babysitting was considered an eccentric and perhaps worrisome interest for a little boy. This was not something that I understood. I just thought the books looked fun and exciting, with their poppy, late-1980s color palette and painted covers depicting exciting tableaus of babysitting in action. And, of course, there was something incredibly alluring to me about teenage girls, whom I had already learned from TV sitcoms were the most glamorous and exciting creatures on Earth. I couldn’t wait to be a teenager myself and hopefully start my own Baby-Sitters Club. The first BSC book, Kristy’s Great Idea, was published 30 years ago this month. According to legend, a Scholastic editor named Jean Feiwel had noticed that both books about babysitters and books about “clubs” were healthy sellers, so she enlisted writer Ann M. Martin—herself a former editor—to combine the two topics into a project that would be irresistible to young girls. The plan worked. The resulting series—chronicling the exceedingly mild adventures of a group of enterprising 13-year-old girls who provide babysitting services to the small town of Stoneybrook, Connecticut—was an unexpected smash hit. Originally slated for just four books, the Baby-Sitters Club would be published continuously for almost 15 years, with new books released monthly, and would eventually balloon to 131 books in the main series, with increasingly mundane titles such as Mary Anne + 2 Many Babies (No. 52), Kristy and the Dirty Diapers (No. 89), and Claudia and the Little Liar (No. 128). If you count the various spinoff series, which include the Baby-Sitters Club Super Specials, Mysteries, Super Mysteries, Little Sister, and Friends Forever series, there were probably close to 300 BSC books published in total over the course of its publishing history. This was more than fine by me. Once I was hooked, my thirst for the BSC could not be sated. I almost always carried a Baby-Sitters Club book with me wherever I went, and proudly read them on the school bus, under my desk during class, and in the school cafeteria. Somehow, by age 7, I was still oblivious to the strict gender cues that other kids my age already responded to on a gut level, and I was blissfully ignorant—at least for awhile—that the books were, in no uncertain terms, For Girls. When other boys would ask me why I was reading those, I was confused by the question. Really, I was put off that everyone didn’t find the books as enchanting as I did and wasn’t sure why discussions about the exploits of Kristy, Claudia, Stacey, and Mary Anne (“America’s Favorite Girls!” as the covers billed them) were such a conversational dead-end with my male peers. Weren’t boys supposed to like girls, I wondered? My obsession did, however, make me a hit with friends’ older sisters, whom I’d take aside during play dates and birthday parties for rollicking, barb-filled debates over who was the best baby-sitter (definitely Claudia or Stacey, depending on whether you preferred Claudia’s boho-hip fabulousness or Stacey’s sleek, urban sophistication) or which BSC members should be kicked to the curb. (No one liked homely, bookish Mallory.) Some of these big sisters were already old enough to be embarking on their own babysitting careers, and I loved picking their brains for insider tips and behind-the-scenes dirt about the profession, while my friends ran around playing capture the flag outside. Eventually, I started to catch on. When I went in search of more Baby-Sitters Club books, librarians began urging me to expand my horizons, often trying to interest me in the books of Matt Christopher, which had names such as The Lucky Baseball Bat and The Boy Who Only Hit Homers. My parents, who had mostly humored my interest without too much judgment, started to set some limits. When I tried to rent the classic Adventures in Babysitting from the video store, my father gave me a fed-up look and told me I had already reached my monthly limit on babysitting-related media. I kept reading the books, but I had learned to be self-conscious about it. On my monthly pilgrimages to the bookstore to pick up the latest installment in the series, I found myself sneaking them to the register, concealed in a larger pile. At school, I became openly scornful of girls who read the Baby-Sitters Club, just to make sure everyone knew that I had moved beyond all that. Eventually, I just outgrew them. As I approached middle school, my fascination with teenage girls diminished just as my friends became more interested in them. I knew plenty of girls, and if I wanted to talk to one I could just call her on the phone. Anyway, part of what I had enjoyed about the Baby-Sitters Club as a small child was their comforting sense of repetition, not to mention the fact that they were often almost conflict-free. (There’s one book that revolves around Dawn organizing a sleepover party.) But as I got older, I wanted a little more friction in my reading material. I discovered the X-Men and realized that the lives of superheroes were much more suspenseful than the lives of babysitters. I moved on. Still, I held onto my Baby-Sitters Club collection. As an adult, it’s now clear to me that the books are shockingly, almost unbearably dull, but that was always sort of the point of them. And when I return to them now, usually when I’m stressed out or bored, I always find myself touched and a little bit proud of my child self: for having the willful innocence to not notice or care what anyone thought of me, and for refusing to pay attention to who the world was telling me to be.